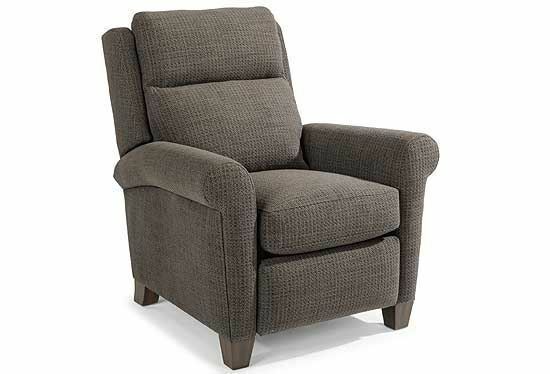 The Abby Power High-Leg Recliner by Flexsteel offers style that's casually inspired with a classic frame and a handsomely tailored rounded arm. 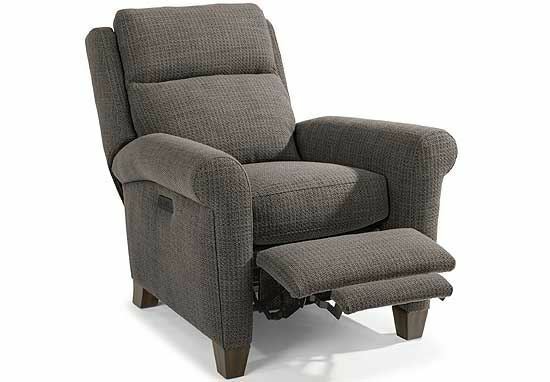 There is great comfort to be found in this chair with its soft, divided back cushion and overstuffed seat cushion. Recessed back wings and tapered wooden legs enhance Abby’s casual appeal. A power reclining mechanism lets you change angles effortlessly from an upright to a fully reclined position with the touch of a button.